Not to be confused with Air Vietnam, a defunct South Vietnamese carrier. Vietnam Airlines (Vietnamese: Hãng Hàng không Quốc gia Việt Nam) is the flag carrier of Vietnam. Founded in 1956 under the name Vietnam Civil Aviation, the airline was established as a state-owned enterprise in April 1989. Vietnam Airlines is headquartered in Long Bien District, Hanoi, with hubs at Noi Bai International Airport and Tan Son Nhat International Airport. The airline flies to 52 destinations in 17 countries, excluding codeshared services. From its inception until the early 1990s, Vietnam Airlines was a minor carrier within the aviation industry as it was hampered by a variety of factors including the socio-economic and political situation of the country. With the government's normalization of relations with the United States, the airline was able to expand, improve its products and services, and modernize its ageing fleet. In 1996, the Vietnamese government brought together 20 service companies to form Vietnam Airlines Corporation, with the airline itself as the centrepiece. In 2010, the corporation was restructured into a limited liability company and renamed Vietnam Airlines Company Limited. 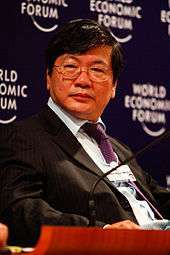 A seven-seat management board, members of which are appointed by the Vietnamese Prime Minister, oversees the company. As passenger transport constitutes its core activity, Vietnam Airlines plays a crucial role in the economic development of the country. It owns 100% of Vietnam Air Service Company – a regional airline in southern Vietnam, 70% of the low-cost carrier Jetstar Pacific Airlines, and 49% of the Cambodian national airline Cambodia Angkor Air. In addition, the corporation earns revenue from airline catering and the maintenance and overhauling of aircraft through a number of its subsidiaries, including Vietnam Airlines Engineering Company and Vietnam Airlines Caterers. The company has also diversified its investments in the aircraft-leasing and airport ground-servicing industries, and is looking to manufacture aircraft components. It controls and operates a cargo division, Vietnam Airlines Cargo. Vietnam Airlines has its origins in January 1956 (1956-01), when it was established by the North Vietnamese government under the name "Vietnam Civil Aviation" following the nationalization of Gia Lam Airport. It was instituted after the government signed the Decree No. 666/TTg. The airline was created as part of the air force for civilian purposes with support from both the Soviet Union and China; initially, its fleet consisted of two Lisunov Li-2s that were later replaced by two Ilyushin Il-14 and three Aero Ae-45s. This was due to an embargo that prohibited the airline from leasing and/or buying American technology or components. A Vietnam Airlines Tupolev Tu-134 at Don Mueang International Airport in 1992. The airline's development and expansion was seriously hampered by the Vietnam War (1954–1975). Following the war, its first international destination was Beijing, followed by Vientiane in 1976. During that year, the airline was known as General Department of Civil Aviation in Vietnam, and began full operations; it carried around 21,000 passengers, one-third of whom were on international flights, and 3,000 tonnes (6,600,000 lb) of cargo. In 1978, another important destination of Vietnam Airlines was added, with flights offered to Bangkok. The late 1980s and early 1990s saw the expansion of the network to Hong Kong, Kuala Lumpur, Manila and Singapore. In 1990, the company initiated discussions regarding the incorporation of Western-built aircraft into the fleet. Later that year, however, the carrier had to cancel the acquisition of two Airbus A310s due to their use of US-manufactured engines. By July 1991 (1991-07), the airline struck a wet-lease agreement with Dutch lessor TransAvia. The aircraft involved was a Boeing 737-300, that arrived in Vietnam Airlines' livery. However, the aircraft was returned after the U.S. State Department pressured the Dutch lessor to remove the aircraft from Vietnam. Subsequently, Vietnam Airlines organized a similar but more complicated deal with TEA Basle, who spent the rest of 1991 negotiating a deal with US authorities. Eventually, a solution stating that "[the Boeing 737] must be positioned outside Vietnam, with no logo or lettering of Vietnam Airlines. On these conditions, it could operate on behalf of Vietnam Airlines" was reached. :26 In December 1991 (1991-12), Cathay Pacific and Vietnam Airlines agreed on a 50–50 joint venture to operate between Hong Kong and Vietnam, as the airline's Tupolev Tu-134 fleet did not meet Kai Tak Airport's noise restrictions. In October 1992 (1992-10), the Boeing 737 was supplemented with an Airbus A310. :26 However, a dispute with Bulgarian Jes Air over who should pay for the repairs after the aircraft sustained an engine failure led to its replacement with another A310 from GATX, also operated by Jes Air. :26–27 A similar dispute with United Technologies encouraged the airline to switch from Airbus to Boeing. Hence, a Boeing 767-200ER, leased from Ansett Worldwide Aviation Services (AWAS), arrived in January 1993, and a Royal Brunei Airlines Boeing 767-300ER, arrived the following year. In October 1993, the first Airbus A320-200 was incorporated over a two-year wet-lease contract with Air France. Vietnam Airlines by now had started discussions with Air France about a partnership, and the French carrier agreed to lease its Airbuses to Vietnam Airlines, and also to provide customer support and pilot/crew training. :31 By that time the route network had further expanded internationally, seeing the incorporation of destinations such as Paris, Tokyo, Seoul, Taipei, Sydney, and Melbourne. In 1993, the airline carried 1.06 million passengers, 418,000 of whom were on international flights. The airline became the flag carrier of Vietnam in 1993, after having completed a restructuring programme that was started four years earlier. In that year, the airline split from the Civil Aviation Administration of Vietnam (CAAV) and became a state enterprise. :30 The move was similar to the reorganization of the Civil Aviation Administration of China into several regional airlines in 1987. Despite the fact that the airline gained some independence from the CAAV, it was still known as Civil Aviation Administration of Vietnam within the 1993–1996 period. Vietnam Airlines' former logo. In October 2002, the airline introduced the current golden lotus identity to coincide with the delivery of the Boeing 777 in 2003. In February 1994 (1994-02), US President Bill Clinton lifted the trade embargo to allow Vietnam Airlines the ability to acquire Western-built aircraft. :26 Consequently, Vietnam Airlines announced in April of the same year that it would be phasing out its inefficient Soviet planes. By April 1995 (1995-04), the fleet consisted of nine Airbus A320s (all of them leased from Air France), 11 Antonov An-24s, four ATR72s, two Boeing 707-300s, three Ilyushin Il-18s, nine Tupolev Tu-134s and three Yakovlev Yak-40s;[nb 1] at this time the route network comprised 14 domestic destinations (including Ban Me Thuot, Da Nang, Dien Bien Phu, Hue, Nha Trang, Phucoq and Pleiku) and 16 international destinations (including Bangkok, Hong Kong, Kuala Lumpur and Singapore). :80 On 27 May 1995 (1995-05-27), the airline, along with a number of other aviation-related businesses, were incorporated to establish Vietnam Airlines Corporation. Two Fokker 70s were purchased in mid-1995 for US$50 million; they were aimed at partly replacing the Tu-134 fleet on domestic routes as well as at serving as VIP transport. In December 1995 (1995-12), discussions with GECAS for the lease of three additional, second-hand Boeing 767-300ERs were under way; these ex-Continental Airlines aircraft would act as a replacement for wet-leased Boeing 767 aircraft (three -300ERs and one -200ER leased from AWAS and Royal Brunei) in the fleet. In September 1996 (1996-09), Vietnam Airlines started offering business class services and in 1999, the airline launched its frequent-flyer program, Golden Lotus Plus; During 1996, Vietnam Airlines looked for aircraft which would substitute the A320s wet-leased from Air France when the deal was over. Apart from acquiring further A320s, the airline considered Boeing 737s and McDonnell Douglas MD-90s. 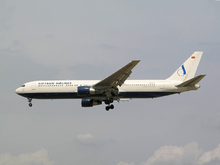 In February 1996 (1996-02), GECAS delivered the first of three Boeing 767-300ER to the carrier, on dry-lease for five years. In October the same year, two Boeing 767-300ERs and a Boeing 767-200, on lease from AWAS and Royal Brunei Airlines, respectively, were returned to the lessors, but in early 1997 another Boeing 767-300ER was phased in on a one-year lease from AWAS. With its freedom to operate Western-built aircraft, Vietnam Airlines considered the acquisition of long-haul aircraft to better service Vietnamese living overseas. The Airbus A340, Boeing 747 and the McDonnell Douglas MD-11 were topics of discussion. Meanwhile, two Fokker 70s were acquired in May and July to replace the twelve Tupolev Tu-134s. 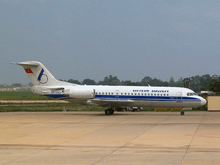 :31 On 3 September 1997, the crash of a Tupolev Tu-134B, on approach to Phnom Penh's Pochentong Airport in bad weather, resulted in more than 60 fatalities. A Vietnam Airlines Fokker 70 at Pochentong Airport in 2004. A new livery was introduced in early 1998, initially unveiled on a Boeing 767. In December 2001 (2001-12), Vietnam Airlines signed a historic agreement with Boeing for the acquisition of its first ever US-built aircraft, signalling the start of trade under the Bilateral Trade Agreement between the two countries. The deal involved four Boeing 777-200ERs. The transaction was valued at US$680 million; the first aircraft was initially scheduled for delivery in 2003. These four aircraft, along with six others of the same type that are leased from International Lease Finance Corporation (ILFC), are the flagships of the airline, and serve on medium and long-haul routes, respectively. During that year, the airline carried 3.4 million passengers, 1.9 million of whom were on domestic flights; flights to Beijing resumed and services to Kunming were launched. During 2002, Vietnam Airlines considered a lease offer from Airbus for two Airbus A340-300s. On 4 September 2003, a landmark ceremony celebrated the airline's receipt of its first Boeing 777-200ER purchased outright from Boeing. On 28 October, the airline decided to move its operations in Moscow from Sheremetyevo International Airport to Domodedovo International Airport. In June 2005 (2005-06), Vietnam Airlines ordered four Boeing 787-8s. Twelve additional 787-8s were ordered in late 2007, some of them to be directly acquired from the company, and the rest to be purchased by the carrier's subsidiary Vietnam Aircraft Leasing Company (VALC). These new aircraft were to allow Vietnam Airlines to expand its network and replace some leased aircraft. Regarding the delays from Boeing, CEO Pham Ngoc Minh remarked in September 2009 (2009-09), "We are not happy about the constant delays. It affects our business plan. We expected to get our planes in 2009, then 2010, and now nobody can confirm to us which is the exact delivery date. I can be patient but it gives us a lot of headaches." In 2010 the airline switched its Boeing 787 order from the –8 to the –9 model, stating that 787-8s did not meet all the requirements Boeing initially promised; it is expected the airline will receive its first aircraft of the type in 2015. On 20 June 2005, the airline launched direct services to Frankfurt after having discontinued services to Berlin. It came after the 2004–2005 period when travel between the two countries soared 70%. The following year, Vietnam Airlines was admitted into IATA. As part of the move, Vietnam Airlines had to meet the association's IOSA safety standards. A Vietnam Airlines Boeing 767-300ER on short final to Kuala Lumpur International Airport in 2003. The aircraft is wearing one of the former liveries. According to a number of newspaper reports in 2007, the Vietnamese government planned to partly privatize Vietnam Airlines. In the plan, the government considered selling 20–30% of the airline's stake to outsiders, with the government holding the balance. This was a small part of a bigger proposal by the government to privatize its state-owned companies, due to be completed by 2010. Vietnam authorized the plan the following year; however, the plan was not carried out as the airline missed its deadline scheduled by the government, which was arranged for 2010, due to the Global Financial Crisis. On 1 October 2007, the airline and VALC signed an memorandum of understanding for the purchase of ten Airbus A350 XWBs, and 20 additional Airbus A321s. The Airbus A350s will supplement the Boeing 787s already ordered by the airline. This single order will result in Vietnam Airlines becoming one of the largest Airbus operators in Asia. The two companies also ordered five extra ATR 72-500s in December 2007 (2007-12). Vietnam was chosen as the host of Miss World's 60th contest in 2008. As the country's national airline, Vietnam Airlines was selected as the sponsoring airline for the beauty pageant. Therefore, it was tasked the job of managing all the transport matters for the contest, to be carried out during September and October, just before the beginning of the competition. However, it was later decided to carry out the event in Sanya, China, following speculations of Vietnam withdrawing. In August 2008 (2008-08), Vietnam Airlines added Nagoya, the airline's fourth point served in Japan besides Fukuoka, Osaka and Tokyo, to the route network. In 2009, Vietnam Airlines and the Government of Cambodia established a joint-venture, having 49% and 51% stockholding, respectively, with the goal of boosting tourism in Cambodia. The joint-venture was a new Cambodian national airline named Cambodia Angkor Air, which started flying in July the same year, using ATR-72 equipment; an Airbus A321 joined the fleet in September. Also in 2009, the carrier signed a deal for another 16 Airbus A321s plus two Airbus A350s, during the Paris Air Show. In addition, Vietnam Airlines launched a new bilingual website in October to simplify bookings and adopted a new passenger service system designed by IT provider Sabre Airline Solutions. On 26 August 2010, the airline teamed up with Boeing during the unveiling of its interior modernization programme to increase passenger comfort. From late September to early October, Vietnam Airlines discounted up to 85% of its 90,000 fares to celebrate Thang Long-Hanoi's 1000th anniversary. In November 2010, the airline awarded Honeywell a US$100 million contract to retrofit the Airbus A321s' aircraft flight systems, which is calculated to save Vietnam Airlines US$10,000 per aircraft per year. In February 2012 (2012-02), Vietnam Airlines boosted its stake in the low-cost carrier Jetstar Pacific Airlines to 70%, with Qantas holding the balance. The Vietnamese flag carrier was the major shareholder in Vietnam's second largest airline, but its stake had been transferred to the Ministry of Finance, and subsequently to the Vietnamese State Capital Investment Corporation (SCIC). The carrier's takeover of SCIC's stake in Jetstar Pacific will capitalise the low-cost carrier with US$27 million, an amount that will be directed towards fleet renewal. In late April 2012 (2012-04), the aircraft lessor ALC announced the placement of an order for eight Boeing 787-9s, which will be leased to Vietnam Airlines; deliveries are expected to start in 2017. In late May 2012 (2012-05), the carrier signed an agreement with Vietnam's Exim Bank for a loan worth US$100 million, which the carrier will use to finance the acquisition of four Airbus A321s; a further US$100 million was loaned in April 2013 to finance the purchase of eight Boeing 787s. In a deal valued at US$1.7 billion, Vietnam Airlines signed a contract with General Electric in October 2013 (2013-10) for 40 engines to power the Boeing 787 aircraft the airline has on order. In July 2014 (2014-07), a new route to Tokyo-Haneda from Hanoi was introduced. Vietnam Airlines received its first Airbus A350-900 in late June 2015 (2015-06), becoming the second operator of the type worldwide after Qatar Airways. In August 2015 (2015-08), the airline's first Boeing 787-9 entered the fleet. As it is expected to be operating 170 aircraft in 2020, Vietnam Airlines is aiming to become the second-largest full-service carrier in Southeast Asia. The airline is interested in launching services to the United States, where more than 1.2 million Vietnamese reside. Such plans were confirmed in December 2003, but have since been postponed because Vietnam is not yet part of Federal Aviation Administration's International Aviation Safety Assessment Program. Vietnam Airlines also considered "opening new routes such as Ho Chi Minh City/Hanoi, Vietnam–London; Ho Chi Minh City/Hanoi–Shanghai/Beijing, China; Ho Chi Minh City–Mumbai; Ho Chi Minh City–Brisbane; and Ho Chi Minh City–Doha", according to CEO Pham Ngoc Minh in 2008. While the airline had launched flights to London-Gatwick, Beijing and Shanghai, there are currently no flights to Mumbai, Doha, and Brisbane. The airline also plans to re-open flights to Berlin, and commence flights to Adelaide, Perth, Amsterdam, Milan, Prague, Mandalay, Dalian, Nanjing, Hangzhou and African cities; by 2020, Vietnam Airlines is expected to serve 53 international destinations, up from 27 in 2011. By 2020, Vietnam Airlines plans to increase its annual revenue to US$7 billion – up from $1.86 billion in 2010 – by carrying 620,000 tonnes of cargo and 35 million passengers, using a fleet of 163 aircraft (later revised to 41 million passengers using 170 aircraft). It aims to capture a 45% market share of Vietnam's aviation market. During its first 15 years of operation, from 1996 to 2010, Vietnam Airlines carried a total of 82 million passengers on 678,550 flights. 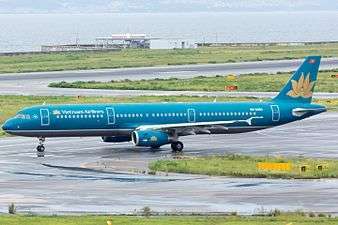 In addition, Vietnam Airlines plans to transfer most of its international operations from its current hub, Tan Son Nhat International Airport, to the proposed Long Thanh International Airport. With a cost of approximately US$6 billion, the airport will, according to Vietnamese authorities, help Vietnam Airlines boost its operations internationally as it seeks to bypass Thailand as the dominant gateway to the Greater Mekong region. London operations were transferred from Gatwick to Heathrow in 2015; the airline plans to operate its new Boeing 787-9 aircraft to this destination, starting from July 2015 (2015-07). In January 2011 (2011-01), plans were announced by the airline to re-initiate an initial public offering (IPO) by the end of 2012; an earlier attempt was stalled by the 2007–2010 financial crisis. Scheduled for mid-2014 after several delays, the IPO and subsequent share-offerings will supply the funds to expand Vietnam Airlines' fleet and network. With the company valued at US$1.5 billion, the government plans to initially keep 75% of the shares. The IPO plan was submitted to the Vietnamese Ministry of Transport in June 2014 (2014-06). Scheduled to commence on 14 November 2014 (2014-11-14), the IPO has already received two submissions from foreign companies, yet their names have not been disclosed. The corporation will be restructured by 2015 to bring it in line with other state-owned enterprises and to shift its focus away from non-core businesses. Following restructuring, the airline group will consist of Vietnam Airlines itself, as well as three carriers; in total, the corporation will comprise 26 independently audited companies. Vietnam Airlines Company Limited is a limited liability company wholly owned by the government of Vietnam, having been restructured from Vietnam Airlines Corporation in June 2010.:5 Its role is to provide economic gains to the country, as its tasks, in addition to scheduled passenger and cargo transport, include "responsibility towards labor, contribution to the state budget, and providing chartered flights", according to former CEO Dao Manh Nhung. The airline is headed and overseen by a seven-seat management team, members of which are selected by the Prime Minister of Vietnam. As of July 2015, Pham Viet Thanh was the chairman of the company, whereas Pham Ngoc Minh was the President and CEO, as of March 2014. As of March 2014, the airline branch of the corporation had 10,929 employees. The airline is headquartered in the Long Bien District of Hanoi; previously it was headquartered at Gia Lam Airport in Gia Lam, Hanoi. In 2009, the airline, Airbus and ESMA Aviation Academy created Bay Viet Flight Training Company to train pilots in the country, with the expectation that up to 100 trainees would graduate annually. In October 2010, the company planned to train 60 pilots in Vietnam during 2011–2012. In 2010, Vietnam Airlines needed 636 pilots, 60% of whom were Vietnamese. It planned to raise that figure it to 75% by 2015, meaning there will be at least 100 new recruits each year from 2010 until 2015. Vietnam Airlines also contracts CAE Global Academy Phoenix in Arizona, United States, to train its cadets. Vietnam Airlines has enjoyed an average of 37% increase in passengers flown per year until 1997, when the Asian Financial Crisis and other contributing causes led to a loss in profits for the airline. Nevertheless, the airline remained profitable throughout the crisis. In 1996, the airline carried 2.5 million passengers, up 18% from 1995. The airline carried more than 4 million passengers in 2002, which is an 18% increase over the previous year. Its cargo traffic also climbed 20% during the same period, resulting in a 2002 profit of US$35.77 million. Despite the severe acute respiratory syndrome (SARS) outbreak, the airline posted a US$26.2 million profit for 2003. In 2006, it carried 6.8 million passengers (3.7 million international) and earned revenue of nearly US$1.37 billion (first 11 months). 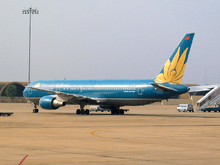 Vietnam Airlines carried more than 9 million passengers, of which 4 million were international travellers in 2007, the year which saw the airline earning a gross profit of US$23 million from a revenue of US$1.23 billion. It also transported 115,100 tonnes of cargo. In 2009, the airline's revenue was US$1.3 billion, compared to US$1.56 billion it earned the previous year. During this period, Vietnam Airlines carried 9.3 million passengers. According to Anna.aero, Vietnam Airlines' passenger capacity for 2010 rose 30% over the same period of the previous year. This also coincided with the increase in capacity at Vietnamese airports, at 21%. In 2012, the company's total revenue totalled US$2.4 billion, with profits totalling US$3.3 million. The following year, the carrier posted a US$25 million gross profit. Vietnam Airlines held about 40% of the market share of international passengers flying to and from Vietnam in February 2012. At the time, Vietnam Airlines controlled 77% share of the domestic aviation market, with 14% covered by Jetstar Pacific. As of December 2012, Vietnam Airlines controlled just below 70% of the domestic market share. Vietnam Airlines has at least 20 subsidiaries and affiliates. By the end of its restructuring in 2015, the company will have offloaded its stakes in more than 10 enterprises. Vietnam Airlines is increasingly becoming involved in the maintenance, overhauling, and production of aircraft. Maintenance works are carried out by Vietnam Airlines Engineering Company (VAECO), that was established on 1 January 2009. VAECO was organized mainly upon the amalgamation of the A75 and A76 aircraft maintenance bases. :93 VAECO carries out maintenance and technical services for Vietnam Airlines as well as for other airlines. The establishment of this company opens a new era to the aircraft maintenance field in Vietnam. As of 2013, VAECO was capable of performing a wide range of maintenance on many different aircraft types; this includes C-checks for the Boeing 777, Airbus A330, Airbus A320 and Airbus A321; and D-checks, the most thorough of all maintenance procedures, which are carried out on the ATR 72 and Fokker 70. There are currently no production facilities in Vietnam for aircraft and spare parts. However, Boeing has managed to obtain 35% of the distribution market in Vietnam, and GE Aviation, in turn, supplies jet engines for the Boeing aircraft. For the future, conversely, Vietnam Airlines is planning to build a maintenance factory in conjunction with Rolls Royce and other companies. It has also signed an memorandum of understanding with EADS, a pan-European aerospace and defence corporation, that would let the corporation assemble and manufacture plane components in the future. Vietnam Airlines has a network within East Asia, Southeast Asia, Europe and Oceania. With about 300 daily flights, the airline flies to 21 destinations domestically, and to 28 internationally. In addition, it has codeshare agreements with a number of airlines for other routes, some of which span to North America. Vietnam Airlines have traditionally increased flights among Vietnamese cities to cater for the heavy demands brought by the annual Tết celebration. This busy period, which could fall anywhere from late January to mid-February, is Vietnam's most important celebration; hundreds of extra flights are scheduled by domestic airlines during this period to allow Vietnamese to return to their families, often in the rural ares, to celebrate the occasion. In 2010, the airline increased its seat capacity from 45% to 120% on certain domestic routes. In 2011, it increased additional flights on ten routes, adding more than 100,000 seats. About 63,000 of these seats were between Hanoi and Ho Chi Minh City. This represented a remarkable 41% increase against normal days. In 2013, the carrier added an extra 174,000 seats during the celebratory period, of which 82,000 seats were on the trunk route between its primary hubs. Vietnam Airlines joined SkyTeam on 10 June 2010 (2010-06-10). As of November 2016, Vietnam Airlines had a fleet of 90 aircraft. In addition to its passenger service, the airline also operates an air freight division of Vietnam Airlines Cargo, providing cargo service to destinations in Asia, Europe, North America and Oceania, using its own passenger aircraft as well as partners' planes. Airbus A321-200 53 — 16 — 168 184 Short- to medium-haul international and domestic One aircraft painted in SkyTeam livery. Airbus A321neo — 12 TBA To be leased from Air Lease Corporation and delivered in 2018–2019. Airbus A330-200 8 — 24 — 242 266 Medium-haul international and domestic AVOD in-flight entertainment. VN-A371 aircraft painted in SkyTeam livery. To be phased out by 2018. Airbus A350-900 5 19 29 45 231 305 Long-haul international MoU for 10 aircraft signed in September 2016. Boeing 777-200ER 4 — 27 54 228 309 Long-haul international and domestic AVOD in-flight entertainment. Boeing 787-10 — 8 TBA To be leased from Air Lease Corporation and delivered in 2019–2021. A Vietnam Airlines Boeing 767-300ER wearing the airline's previous livery at Tan Son Nhat International Airport in 2004. Since its conception in 1956, the airline has operated a wide range of aircraft, including Soviet, American, and European equipment. After having retired all its Soviet-made equipment, the airline currently uses Boeing, ATR, and Airbus aircraft. On selected flights, Vietnam Airlines offers audio video on demand (AVOD) in-flight entertainment via personal televisions. Entertainment options consist of films, games, TV programmes and music. Vietnam Airlines offers two in-flight magazines, Heritage and Heritage Fashion, in addition to other reading material. Business class is the highest of three cabin classes offered by the airline. As is the case with business class cabins in most airlines, the amenities offered in this class are substantially different from economy class, and more services and products are available. On Boeing 777s, business class seats have a 160 cm (62 in) of leg room, and are able to recline with a pitch of 157°, depending on aircraft. Laid out in a 2–3–2 configuration, each seat is equipped with lumbar support and a 10.4 in (26 cm) personal touch screen, capable of delivering AVOD. Hot meals are offered on flights lasting longer than two hours. Deluxe Economy class, Vietnam Airlines' equivalent of premium economy, has a wider seat width and legroom compared to Economy with 36–38 in (91–97 cm) of seat pitch and 7 inches of recline, and is laid out 3–3–3. This class is offered only on flights operated by Boeing 777, Airbus 350-900 and Boeing 787-9. On flights over 90 minutes, snacks are served; on two-hour plus flights, as in business class, hot meals are served. Economy class is available on all flights operated by Vietnam Airlines. Seats in this cabin feature seats ranging from 51 cm (20 in) (Airbus A330) to 53 cm (20.9 in) (Boeing 777) in width. Seat pitch on this cabin class is 31–32 in (79–81 cm), while seat recline ranges from 6 to 13°(5-6 inches). Like Deluxe Economy, snacks are served on flights over 90 minutes, with hot meals available on flights that are two hours or more. According to Aviation Safety Network, Vietnam Airlines experienced six accidents/incidents since 1951, with two of them leading to fatalities. Both deadly accidents occurred on final approach, and both involved Soviet-built aircraft. The deadliest one took place on 3 September 1997, when a Tupolev Tu-134B-3 crashed after hitting trees on approach to Phnom Penh International Airport; the death toll rose to 65. The other fatal accident occurred on 14 November 1992, when a Yakovlev Yak-40 crashed on approach to Nha Trang Airport, killing 30 of 31 occupants aboard. The airline has also experienced a hijacking episode in 1992, without any recorded fatality. ↑ In early March 1995 (1995-03), Flightglobal informed the carrier also had three Boeing 767s in the fleet, two of them leased from AWAS and the other one from Region Air. ↑ These figures include firm orders placed directly by the carrier and those by lessors assigned to the carrier. 1 2 Nguyen, Binh (25 June 2010). "Vietnam Airlines becomes limited liability company". The Saigon Times Daily. Archived from the original on 22 May 2012. Retrieved 22 May 2012. In its Decision 952/QD-TTg dated 23 June 2010, the Government says it still owns Vietnam Airlines Company Limited (Vietnam Airlines), which is headquartered at 200 Nguyen Son Street in Long Bien District, Hanoi City. 1 2 "Profile on Vietnam Airlines". Centre for Aviation. Archived from the original on 2 October 2012. Retrieved 2 October 2012. 1 2 "Airline Membership". International Air Transport Association. Archived from the original on 1 May 2012. Retrieved 1 May 2012. 1 2 "Vietnam Airlines". Vietnam Airlines. ↑ "Building momentum: Vietnam Airlines becomes second operator of the game-changing A350 XWB" (Press release). Airbus. 30 June 2015. 1 2 Karp, Aaron (12 July 2016). "Vietnam Airlines names Duong Tri Thanh new CEO". Air Transport World. Archived 12 July 2016 at the Wayback Machine. ↑ Torr, Jeremy (27 August 2015). "Vietnam drops A380 order". Air Transport World. Vietnamese flag carrier Vietnam Airlines cited "increased pressure of arranging capital for aircraft purchases" as a key factor, along with the slow progress on the planned Long Thanh International Airport at Ho Chi Minh City —the only Vietnamese airport with enough capacity to handle A380 aircraft. Archived 28 August 2015 at the Wayback Machine. 1 2 "Vietnam Airlines". Vinafour. Archived from the original on 21 May 2012. ↑ Alwyn-Jones, John (14 October 2010). "Vietnam Airlines offers world class service". e-Travel Blackboard. Archived from the original on 21 May 2012. ↑ Chi, Nguyen (December 2001). "A Strategy for the Vietnam Civil Aviation Administration (VCAA) to Promote US-Vietnam Bilateral Civil Aviation Agreement". Institute for Trade & Commercial Diplomacy. Archived from the original (PDF) on 21 May 2012. ↑ "L'aviation civile vietnamienne" [The Vietnamese civil aviation] (in French). Archived from the original (PDF) on 21 May 2012. ↑ Buckley, Michael. "Flying Ghosts". VeloAsia. Archived from the original on 22 May 2012. 1 2 3 4 Lewis, Paul (15–21 November 1995). "Catching up". Flight International. London: Reed Business Information. 148 (4498): 30–31. ISSN 0015-3710. Archived from the original on 22 May 2012. 1 2 3 4 5 "History of Vietnam Airlines". Vietnam Airlines. Archived from the original on 24 March 2002. Retrieved 3 August 2013. Bailey, John (11–17 May 1994). "The Last Frontier". Flight International. London: Reed Business Publishing. 145 (4420): 26. ISSN 0015-3710. Archived from the original on 9 July 2014. "The Last Frontier". Flight International: 27. Archived from the original on 9 July 2014. ↑ "Vietnamese Airbus". Flight International. London: Reed Business Information. 138 (4242): 4. 14–20 November 1990. ISSN 0015-3710. Archived from the original on 18 May 2013. Vietnam Airlines has cancelled plans to buy two Airbus A310s because of a US trade embargo on the country, a Vietnamese Government official has said in Hanoi. The A310 uses US engines. ↑ "Cathay covers Vietnam's noisy routes". Flight International. London: Reed Business Information. 140 (4299): 8. 25 December 1991 – 7 January 1992. ISSN 0015-3710. Archived from the original on 22 May 2012. Retrieved 22 May 2012. 1 2 Bailey, John (20–26 April 1994). "Vietnam plans to Westernise fleet". Flight International. Hanoi: Reed Business Information. 145 (4417): 9. ISSN 0015-3710. Archived 16 March 2015 at the Wayback Machine. ↑ "Airlines Tie-Up". Manila Standard. 6 October 1992. Retrieved 7 August 2013. 1 2 "Total of passengers carried from 1991 to 2001". Vietnam Airlines. Archived from the original on 14 June 2002. Retrieved 3 August 2013. ↑ "Our Background". Vietnam Airlines. Archived from the original on 26 October 2013. Retrieved 27 July 2013. ↑ "Vietnam Airlines Introduces Bold New Identity". Vietnam Airlines. 28 October 2002. Archived from the original on 13 February 2003. Retrieved 3 August 2013. 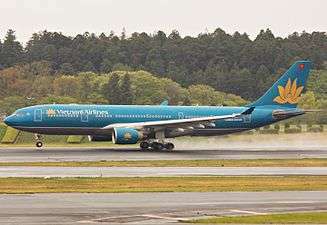 ↑ "Vietnam Airlines to lease Region A340". Flightglobal. Flight International. 1 March 1995. Archived from the original on 24 July 2014. The carrier would like one or two more Boeing 767s. It already operates three 767s, two of which are leased from Ansett (AWAS) and one from Region Air. "World airline directory – Vietnam Airlines (page 80)". Flight International. Archived from the original on 5 July 2014. ↑ "Our Background". Vietnam Airlines. Archived from the original on 5 July 2014. ↑ "Vietnam amalgamates". Flight International. London: Reed Business Publishing. 149 (4523): 6. 15–21 May 1996. ISSN 0015-3710. Archived from the original on 5 July 2014. ↑ "Vietnam signs for Fokker 70s". Flightglobal. Flight International. 9 August 1995. Archived from the original on 5 July 2014. ↑ "Two new orders for Fokker 70". Flightglobal. 4 October 1995. Archived from the original on 5 July 2014. ↑ "Vietnam Airlines nears 767 leasing deal with GECAS". Flightglobal. Flight International. 20 December 1995. Archived from the original on 27 July 2014. ↑ "Vietnam Airlines implements Radmin". Radmin.com. 2007. Archived from the original (PDF) on 22 May 2012. Retrieved 22 May 2012. 1 2 Lewis, Paul (22–28 February 1995). "Vietnam looks for A320 substitute". Flight International. London: Reed Business Information. 147 (4460). ISSN 0015-3710. Archived from the original on 14 June 2012. Retrieved 14 June 2012. ↑ "Vietnam delivery". Flightglobal. Flight International. 7 February 1996. Archived from the original on 24 July 2014. ↑ "Vietnam Airlines revises growth plans". Flightglobal. Flight International. 9 April 1997. Archived from the original on 24 July 2014. ↑ Learmount, David (10 September 1997). "Vietnam Airlines Tu-134 crashes on bad-weather approach at Phnom Penh". Flightglobal. London. Flight International. Archived from the original on 24 July 2014. ↑ "Vietnam's new clothes". Flightglobal. Flight International. 14 January 1998. Archived 13 September 2014 at the Wayback Machine. 1 2 "Historical Signing Between Vietnam Airlines and Boeing: Vietnam Airlines Orders Four 777-200ERs" (Press release). Washington, D.C.: Boeing. 10 December 2001. Archived from the original on 14 June 2012. ↑ "Vietnam orders 777-200ERs". Flightglobal. 1 January 2001. Archived from the original on 9 July 2014. ↑ "Vietnam Airlines Orders Four 777-200ERs" (Press release). Washington, D.C.: Boeing. 10 December 2001. Archived from the original on 14 June 2012. ↑ "Vietnam opts for GE poweron latest 777s". Flightglobal. Flight International. 12 February 2002. Archived from the original on 5 July 2014. ↑ "Vietnam considers A340-300 offer from Airbus". Flight International. London: Reed Business Information. 161 (4835): 8. 11–17 June 2002. ISSN 0015-3710. Archived from the original on 14 June 2012. Retrieved 14 June 2012. ↑ "Vietnam Airlines received the first Boeing 777-ER to its ownership" (Press release). Vietnam Airlines. 4 September 2003. Archived from the original on 10 December 2004. ↑ "Using a new airport in Russia" (Press release). Vietnam Airlines. 30 November 2003. Archived from the original on 30 November 2003. ↑ "Vietnam Airlines finalizes deal for 787s". Air Transport World. 22 June 2005. Archived from the original on 14 June 2012. Vietnam Airlines yesterday signed a firm agreement with Boeing to purchase four 787-8s at a signing ceremony in Washington. ↑ Karp, Aaron (4 January 2008). "Boeing finalizes DAE, Vietnam orders, sells record 1,300+ aircraft in 2007". Air Transport World. Archived from the original on 14 June 2012. Retrieved 14 June 2012. Boeing finalized Dubai Aerospace Enterprise's 100-aircraft order valued at $10.9 billion and also officially completed a $2 billion order for 12 787-8s from Vietnam Airlines and Vietnam Aircraft Leasing Co., pushing its total 2007 commercial aircraft orders to well over 1,300, a single-year record. ↑ "Vietnam Airlines Completes Boeing Plane Order". Airwise News. Reuters. 3 January 2008. Archived from the original on 14 June 2012. Retrieved 14 June 2012. ↑ Straus, Brian (3 October 2007). "Vietnam Airlines to add 12 787-8s". Air Transport World. Archived from the original on 14 June 2012. Retrieved 14 June 2012. ↑ "Vietnam Airlines Unhappy With Boeing Delays". Airwise News. Reuters. 28 September 2009. Archived from the original on 14 June 2012. Retrieved 14 June 2012. ↑ Sobie, Brendan (24 June 2010). "Vietnam Airlines switches 787 order to −9s". Flightglobal. Archived 18 February 2015 at the Wayback Machine. ↑ "Vietnam Airlines heads directly to Germany". The New York Times. 1 June 2005. Archived from the original on 15 June 2012. Retrieved 15 June 2012. ↑ "Vietnam Airlines Starts Flights to Germany". Deutsche Welle. 31 January 2005. Archived from the original on 15 August 2013. Retrieved 14 July 2013. ↑ "Vietnam Airlines becomes IATA member". VoV News. 1 March 2007. Archived from the original on 15 June 2012. Retrieved 15 June 2012. ↑ "SkyTeam Signs Preliminary Membership Agreement With Vietnam Airlines". redOrbit.com. 15 April 2009. Archived from the original on 15 June 2012. Retrieved 15 June 2012. ↑ "Vietnam Airlines meets int'l air safety standards". VoV News. 14 July 2006. Archived from the original on 15 June 2012. Retrieved 15 June 2012. ↑ "Vietnam Airlines to go public next year". People's Daily Online. Xinhua. 2 January 2007. Archived from the original on 15 June 2012. ↑ "Vietnam to partially privatize 71 large state-owned enterprises". China Daily. Associated Press. 2 January 2007. Archived from the original on 15 June 2012. Retrieved 15 June 2012. ↑ "Vietnam May Spur Privatization After $4.5 bln Shipyard Debt". Thanh Nien News. 11 August 2010. Archived from the original on 29 October 2013. Retrieved 14 July 2013. ↑ "Vietnam Airlines to miss equitization deadline". Business Times. 17 January 2010. Archived from the original on 19 June 2012. Retrieved 19 June 2012. ↑ "Vietnam Airlines to sell stake to foreign partners". Thanh Nien News. 19 June 2008. Archived from the original on 19 June 2012. Retrieved 19 June 2012. ↑ "Vietnam Airlines may go public this year". People's Daily Online. Xinhua. 15 January 2008. Archived from the original on 19 June 2012. Retrieved 19 June 2012. ↑ "Vietnam Airlines to acquire 10 A350 XWB and 20 additional A321 aircraft" (Press release). Airbus. 1 October 2007. Archived from the original on 19 June 2012. Retrieved 19 June 2012. 1 2 Gillespie, Elizabeth M. (1 October 2007). "Vietnam Airlines plans to buy jets". USA Today. Archived from the original on 19 June 2012. ↑ "Vietnam Airlines inks Airbus contract". Wichita Business Journal. 1 October 2007. Archived from the original on 19 June 2012. Retrieved 19 June 2012. ↑ "Vietnam Airlines commits to ATR 72–500". Air Transport World. 7 December 2007. Archived from the original on 19 June 2012. Retrieved 19 June 2012. ↑ "Vietnam Airlines to manage transport for Miss World 2010". Travel Vietnam. 2007. Archived from the original on 19 June 2012. Retrieved 19 June 2012. ↑ "60th Miss World Beauty Pageant finals open in Sanya". People's Daily Online. 12 October 2010. Archived from the original on 16 July 2012. Retrieved 16 July 2012. ↑ "Vietnam Airlines launches new Non-stop Service Hanoi – Nagoya (Japan)" (Press release). Vietnam Airlines. 12 August 2008. Archived from the original on 5 July 2014. 1 2 "Cambodia launches new airline". Air Transport World. 28 July 2009. Archived from the original on 26 February 2013. ↑ Hohler, Reinhard (26 July 2009). "Cambodia Angkor Air will fly tomorrow". eTurbo News. Archived from the original on 16 July 2012. Retrieved 16 July 2012. 1 2 "Cambodia gets national carrier with Vietnam's help". Reuters. 27 July 2009. Retrieved 14 July 2013. ↑ Francis, Leithen (30 July 2010). "Cambodia Angkor signs with Sabre in preparation for international expansion". Singapore: Flightglobal. Archived from the original on 26 February 2013. ↑ Nguyen, Thuy (17 June 2009). "Vietnam Airlines orders more Airbus aircraft". Sai Gon Giai Phong. Archived from the original on 16 July 2012. Retrieved 16 July 2012. ↑ "Vietnam Airlines planning to buy 18 Airbus jets". Agence France-Presse. 15 June 2009. Retrieved 14 July 2013. ↑ "Vietnam Airlines launches new website". VoV News. 9 October 2009. Archived from the original on 2 October 2012. Retrieved 2 October 2012. ↑ "Vietnam Airlines adopts new service technologies". Ministry of Culture, Sports and Tourism. 13 May 2009. Retrieved 13 July 2013. ↑ "Vietnam Airlines and Boeing Team to Enhance 777 Passenger Experience" (Press release). Boeing. 26 August 2010. Archived from the original on 7 January 2013. Retrieved 7 January 2013. ↑ "Airline offers discounts on international trips". Viet Nam News. 23 September 2010. Retrieved 8 October 2010. ↑ "Honeywell to retrofit Vietnam Airlines, $100m contract (HON)". Technology Marketing Corporation. 16 November 2010. Archived from the original on 26 July 2013. Retrieved 13 July 2013. 1 2 "Jetstar Pacific to become Vietnam Airlines' low-cost carrier in salutary move to both". Centre for Aviation. 23 February 2012. Archived from the original on 4 March 2012. ↑ "Jetstar to be majority owned by Vietnam Airways". The New Zealand Herald. 22 February 2012. Retrieved 13 July 2013. ↑ "New partnership arrangement to strengthen and grow Jetstar Pacific" (Press release). Jetstar. 21 February 2012. Archived from the original on 8 March 2012. ↑ O'Sullivan, Matt (30 July 2010). "Qantas duo rescued from Vietnam". The Sydney Morning Herald. Archived from the original on 8 March 2012. ↑ Walker, Karen (1 May 2012). "ALC purchases eight 787-9s". Air Transport World. Archived from the original on 11 May 2012. Air Lease Corp. (ALC) has purchased eight Boeing 787-9s, which it will lease to Vietnam Airlines, the lessor announced Monday. ↑ "Vietnam Air Signs Loan Deal For Airbus A321s". Reuters. 31 May 2012. Archived from the original on 14 June 2012. Retrieved 14 June 2012. ↑ "Eximbank lends US$100 million to Vietnam Airlines for B787". Vietnam Investment Review. 22 April 2013. Archived from the original on 3 December 2013. Retrieved 22 July 2013. ↑ "Vietnam Airlines signs $1.7 billion deal to buy GE engines: source". Reuters. 29 October 2013. Archived from the original on 3 December 2013. ↑ Nilsson, Olivier (4 July 2014). "Vietnam Airlines inaugure le Hanoi – Tokyo-Haneda" [Vietnam Airlines inaugurated the Hanoi–Tokyo-Haneda route]. Air Journal (in French). Archived from the original on 5 July 2014. ↑ Torr, Jeremy (30 June 2015). "Vietnam Airlines takes delivery of first Airbus A350". Air Transport World. Archived 2 July 2015 at the Wayback Machine. ↑ Hashim, Firdaus (30 June 2015). "PICTURES: Vietnam Airlines receives first A350". Singapore: Flightglobal. Archived 30 June 2015 at the Wayback Machine. ↑ "Vietnam Airlines prepares to receive first A350". London: Flightglobal. 29 June 2015. Archived 30 June 2015 at the Wayback Machine. 1 2 3 "Vietnam Airlines begins new chapter with A350s, 787s. Are 777-8Xs and a strategic investor next?". CAPA Centre for Aviation. 10 September 2015. Archived 14 September 2015 at the Wayback Machine. ↑ Waldron, Greg (3 August 2015). "PICTURES: Vietnam Airlines' first 787-9 arrives in Hanoi". Singapore: Flightglobal. Archived 3 August 2015 at the Wayback Machine. ↑ Ha, K. Oanh; Giang, Nguyen Kieu (13 March 2012). "Vietnam Air Aims to Win Southeast Asia's No. 2 Title by 2020". Bloomberg L.P. Bloomberg News. Archived from the original on 30 June 2013. ↑ "Statistical Abstract of the United States: 2009". U.S. Census Bureau. 2009. Archived from the original (PDF) on 17 July 2012. Retrieved 17 July 2012. ↑ Sobie, Brendan (24 June 2010). 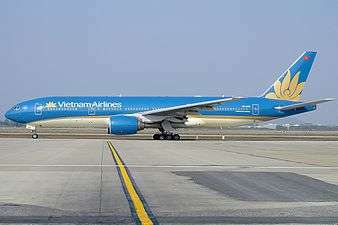 "Vietnam Airlines aims to launch US services in early 2011". Flightglobal. Archived from the original on 17 July 2012. Retrieved 17 July 2012. ↑ "Leaps and Bounds". Ascend. Sabre Airline Solutions (1): 18–21. 2008. Archived from the original (PDF) on 17 July 2012. Retrieved 17 July 2012. ↑ "HCM City-London air-route to be set up". VietnamNet Bridge. 10 December 2010. Archived from the original on 17 July 2012. Retrieved 17 July 2012. ↑ "Vietnam Airlines to link former Saigon with Beijing". Agence France-Presse. 1 December 2010. Archived from the original on 28 February 2014. Retrieved 24 July 2013. ↑ "Vietnam Airlines to launch direct Vietnam - Shanghai services". eTravel Blackboard. 26 March 2010. Archived from the original on 26 July 2013. Retrieved 14 July 2013. ↑ For Berlin, Amsterdam and Milan, see Ha, K. Oanh; Giang, Nguyen Kieu (13 March 2012). "Vietnam Air Aims to Win Southeast Asia's No. 2 Title by 2020". Bloomberg L.P. Bloomberg News. Archived from the original on 30 June 2013. For Adelaide, see "Vietnam Airlines eyes Indochina hub". Tourism of Cambodia. 16 September 2011. Archived from the original on 29 March 2014. For Perth, see "Vietnam ponders expansion" (PDF). Travel Weekly. 17 March 2007. p. 2. Archived from the original (PDF) on 7 April 2009. Retrieved 17 August 2013. For Prague, Dalian, Nanjing, Mandalay, Hangzhou and Africa, see "Vietnam Airlines builds Mekong hub". TTR Weekly. 13 September 2012. Archived from the original on 29 March 2014. ↑ Mantanarat, Rapeepat (13 September 2012). "Vietnam Airlines builds Mekong hub". TTR Weekly. Archived from the original on 29 March 2014. Retrieved 1 July 2013. ↑ "Vietnam Airlines expands horizons". Viet Nam News. 10 January 2011. Archived from the original on 26 February 2013. ↑ "Major international airport planned in Dong Nai". Thanh Nien News. 9 November 2010. Archived from the original on 17 July 2012. ↑ "Over US$6 billion For New International Airport". Bernama. 9 November 2010. Archived from the original on 4 April 2015. Retrieved 13 July 2013. ↑ "Four destinations turn five". TTR Weekly. 18 September 2012. Archived from the original on 29 March 2014. ↑ Young, Kathryn M. (13 April 2015). "Airline Routes-13 April 2015". Air Transport World. Vietnam Airlines has changed its UK airport from Gatwick to London Heathrow. It also plans to increase London-Ho Chi Minh service to daily from July using Boeing 787-9 aircraft. Archived 16 April 2015 at the Wayback Machine. ↑ "Vietnam Airlines to restart privatisation". eTravel Blackboard. 21 January 2011. Archived from the original on 17 July 2012. Retrieved 17 July 2012. ↑ "Flag carrier announces IPO plan". Vietnam News Agency. 8 August 2013. Archived from the original on 4 September 2013. Retrieved 9 August 2013. ↑ "Vietnam: sowing the seeds for future growth". Airline Leader (10). November 2011. Archived from the original on 10 October 2013. Retrieved 10 July 2013. ↑ "Vietnam Airlines plans IPO in 2013". The China Post. 10 April 2012. Archived from the original on 11 July 2013. ↑ Nguyen, Mai (20 June 2014). "Vietnam Airlines seeking to raise $51 million in IPO". Reuters. Archived from the original on 5 July 2014. ↑ "Vietnam Airlines submits IPO plan to government". Centre for Aviation. 23 June 2014. Archived from the original on 1 July 2014. ↑ Schofield, Adrian (3 November 2014). "Foreign investors target Vietnam Airlines' stake". Air Transport World. Archived 4 November 2014 at the Wayback Machine. 1 2 3 "Vietnam Airlines to be restructured by 2015". Civil Aviation Authority of Vietnam. 29 January 2013. Retrieved 10 July 2013. ↑ "Vietnam Airlines". Centre for Aviation. Archived from the original on 17 July 2012. Retrieved 17 July 2012. ↑ "List of Government-owned and Privatized Airlines (unofficial preliminary compilation)". ICAO. 4 July 2008. Archived from the original (PDF) on 17 July 2012. Retrieved 17 July 2012. ↑ Torr, Jeremy (23 July 2015). "Vietnam Airlines rebrands, launches new fleet". Air Transport World. Archived 23 July 2015 at the Wayback Machine. 1 2 3 "SkyTeam & Members Fact Sheet". SkyTeam. 5 March 2014. Archived from the original (PDF) on 18 April 2014. ↑ "About Us". Vietnam Airlines. Archived from the original on 5 October 2013. Retrieved 8 October 2009. "200 Nguyen Son Str., Long Bien Dist., Ha Noi city, Vietnam"
↑ "Home page of VN_anh". Vietnam Airlines. Archived from the original on 11 March 2000. Retrieved 21 December 2010. HEAD OFFICE: GIALAM AIRPORT, HANOI 10.000, VIETNAM. ↑ "Directory: World Airlines". Flight International. London: Reed Business Information. 165 (4927): 92. 30 March – 5 April 2004. ISSN 0015-3710. Archived from the original on 5 October 2013. Retrieved 21 December 2010. VIETNAM AIRLINES [VN] (HVN) Gialem Airport, Hanoi, Vietnam. ↑ "Airbus supports new flight training school in Vietnam" (Press release). Airbus. 13 March 2009. Archived from the original on 7 August 2013. Retrieved 7 August 2013. ↑ "Commercial pilots to be trained in Vietnam". VoV News. 16 October 2010. Archived from the original on 27 December 2010. Retrieved 16 October 2010. ↑ "CAE Global Academy to Train Third Group of Cadets for Vietnam Airlines". Aviation Pros. 23 February 2012. Archived from the original on 7 August 2013. Retrieved 7 August 2013. ↑ "Vietnam Airlines revises growth plans". Flight International. London: Reed Business Information. 151 (4569): 12. 9–15 April 1997. Archived from the original on 26 February 2013. 1 2 "Coming of age". Airline Business. 1 February 2004. Archived from the original on 28 July 2013. Retrieved 13 July 2013. ↑ Ballatyne, Tom (July–August 2008). "Ambitious Vietnam aiming high". Orient Aviation. Beijing, China: Wilson Publishing HK: 31. ISSN 1027-6572. Archived from the original (PDF) on 28 July 2013. Retrieved 28 July 2013. ↑ "Vietnam Airlines 2007 profit rises 6.4 pct". Reuters UK. 31 December 2007. Archived from the original on 26 February 2013. ↑ "Vietnam Airlines 2009 profit falls 42 percent". Agence France-Presse. 12 January 2010. Retrieved 28 July 2013. ↑ "China at the forefront of Asian air travel growth; Indonesia and Vietnam booming in 2010; Hong Kong, Japan and Thailand struggle". Airline Network News and Analysis. 25 May 2010. Archived from the original on 26 February 2013. ↑ "Vietnam Airlines earns $25 million gross profit in 2013". Reuters. 10 January 2014. Archived from the original on 14 January 2014. 1 2 "Jetstar Pacific to become Vietnam Airlines' low-cost carrier in salutary move to both". Centre for Aviation. 23 February 2012. Archived from the original on 26 July 2013. Retrieved 25 July 2013. ↑ "Subsidiaries & Affiliates". Vietnam Airlines. Archived from the original on 6 October 2013. Retrieved 27 July 2013. ↑ "Vietnam Airlines plans IPO, to start restructuring this year". Thanh Nien News. 21 January 2013. Archived from the original on 26 July 2013. Retrieved 27 July 2013. ↑ "Notification of Company Name Change". Vietnam Airlines Caterers. 12 July 2013. Archived from the original on 8 December 2013. Retrieved 27 July 2013. ↑ Torr, Jeremy (29 April 2016). "Jetstar Pacific gets $139 million cash injection, plans to double fleet size". Air Transport World. Qantas owns 30% of the carrier, with Vietnam Airlines having equity in the remaining 70%. Archived 30 April 2016 at the Wayback Machine. ↑ "Laos aviation market poised for more rapid growth after doubling in size in only 15 months". Centre for Aviation. 8 January 2013. Archived from the original on 27 February 2013. Vietnam Airlines dominates the Cambodian market and has a 49% stake and full control of flag carrier Cambodia Angkor Air. ↑ "Vietnam enters leasing market". Orient Aviation. Beijing, China: Wilson Publishing HK: 60. November 2007. ISSN 1027-6572. Archived from the original (PDF) on 2 October 2012. Retrieved 2 October 2012. ↑ "Largest airplane maintenance company debuts". VoV News. 25 February 2009. Archived from the original on 2 October 2012. Retrieved 2 October 2012. 1 2 Vietnam: Doing Business and Investing in Vietnam Guide. 1 (revised ed.). International Business Publications. 2011. ISBN 978-1-4387-1410-3. ↑ "Our Services". Vietnam Airlines Engineering Company. Retrieved 11 July 2013. ↑ "Industry airs ambitious aviation plans". Viet Nam News. 1 March 2010. Archived from the original on 26 July 2013. Retrieved 7 June 2010. ↑ "Vietnam Airlines Route Map". Vietnam Airlines. 2010. Archived from the original on 4 December 2013. Retrieved 2 April 2010. ↑ "Vietnam Airlines to add more flights over Tet". VoV News. 25 December 2009. Archived from the original on 2 October 2012. Retrieved 2 October 2012. ↑ "Vietnam Airlines to add over 580 flights for Tet holiday". VietNamNet Bridge. 15 December 2010. Archived from the original on 11 July 2013. ↑ "Vietnam Airlines starts selling tickets for Tet". Tuoi Tre. 1 November 2012. Retrieved 26 July 2013. ↑ Francis, Leithen (10 June 2010). "Vietnam Airlines formally joins SkyTeam". Flightglobal. Archived 8 April 2014 at the Wayback Machine. ↑ "Vietnam Airlines Joins SkyTeam" (Press release). SkyTeam. 10 June 2010. Archived from the original on 30 August 2012. ↑ "Profile on Vietnam Airlines". CAPA. Centre for Aviation. Archived from the original on 2016-10-31. Retrieved 2016-10-31. ↑ "Airline Routes". Air Transport World. 3 October 2011. Archived from the original on 2 October 2012. Retrieved 2 October 2012. Etihad Airways has announced a codeshare agreement with Vietnam Airlines (VN), effective Oct. 30. The agreement will allow Etihad's passengers to connect through Bangkok to Ho Chi Minh or Hanoi on VN's daily services. VN passengers will be able to connect through Bangkok to Etihad's base in Abu Dhabi. 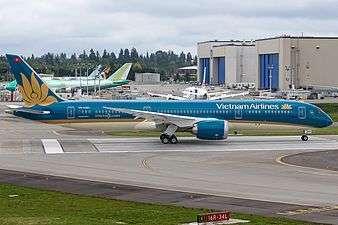 1 2 3 "Vietnam Airlines readies to enter US market, with Ho Chi Minh-LAX, following A350-900 HGW order". CAPA Centre for Aviation. 9 September 2016. Archived from the original on 10 September 2016. ↑ Knowler, Greg (7 July 2008). "Vietnam carrier rejigs routes". Hanoi: CargonewsAsia.com. Archived from the original on 14 September 2012. Retrieved 14 September 2012. 1 2 "SkyTeam Livery Fact Sheet" (PDF). SkyTeam. Archived from the original (PDF) on 27 December 2014. 1 2 "Air Lease Corporation Announces Placements of 12 New Airbus A321neo Aircraft with Vietnam Airlines" (Press release). Air Lease Corporation. 18 October 2016. Retrieved 17 November 2016. ↑ Thanh, Huyen (31 October 2016). "Hàng không quốc gia Vietnam Airlines đón nhận máy bay Airbus A350 thứ 5". Soha News (in Vietnamese). Retrieved 20 November 2016. 1 2 Hofmann, Kurt (17 February 2015). "Vietnam Airlines to receive first 787-9 in May; A350-900 in June". Air Transport World. Archived 18 February 2015 at the Wayback Machine. ↑ "Boeing Delivers 10th 787 Dreamliner to Vietnam Airlines". Boeing. 25 November 2016. Retrieved 25 November 2016. ↑ "Profile for: Vietnam Airlines". AeroTransport Data Bank. 15 June 2013. Archived from the original on 15 June 2013. ↑ "Vietnam Air replaces ageing turboprop fleet". Vietnam News Agency. 25 August 2009. Retrieved 10 August 2013. ↑ "Vietnam Airlines". Ch-Aviation. Archived from the original on 10 April 2014. ↑ "Vietnam nears decision on long-haul fleet". Flightglobal. Flight International. 11 June 1997. Archived 13 September 2014 at the Wayback Machine. ↑ "Inflight Entertainment". Vietnam Airlines. Archived from the original on 22 April 2014. Retrieved 8 July 2013. 1 2 "The Experience – Business Class". Vietnam Airlines. Archived from the original on 4 October 2013. Retrieved 25 March 2010. 1 2 "Vietnam Airlines Boeing 777-200ER layout". Seat Expert. Archived from the original on 30 October 2013. Retrieved 29 March 2010. ↑ "Vietnam Airlines". eTravel Blackboard. 2 May 2011. Archived from the original on 7 March 2012. Retrieved 28 July 2013. ↑ "Seats – Deluxe Economy Class". Vietnam Airlines. Archived 12 August 2014 at the Wayback Machine. ↑ Thomalla, Volker K. (September 2005). "Vietnam Airlines Expands". Flug Revue (magazine). Archived from the original on 14 November 2008. Retrieved 10 April 2010. ↑ "Deluxe Economy Class". Vietnam Airlines. Archived from the original on 28 November 2011. Retrieved 25 March 2010. 1 2 Verghese, Vijay. "Economy Class Seat Survey". Smart Travel. Archived from the original on 30 March 2014. Retrieved 25 March 2010. ↑ "Economy Class". Vietnam Airlines. Archived from the original on 28 November 2011. Retrieved 25 March 2010. ↑ "Vietnam Airlines accident record". Aviation Safety Network. Archived from the original on 3 February 2014. Retrieved 28 July 2013. ↑ Accident description for VN-A120 at the Aviation Safety Network. Retrieved on 26 October 2011. ↑ Accident description for VN-A449 at the Aviation Safety Network. Retrieved on 26 October 2011. ↑ Hijacking description at the Aviation Safety Network. Retrieved on 26 October 2011. "Jet Airways enters into a codeshare agreement with Vietnam Airlines". AsiaOne News. 6 August 2014. Archived 12 August 2014 at the Wayback Machine. Torr, Jeremy (27 May 2015). "Vietnam Airlines to codeshare with Jetstar Pacific, expand to India". Air Transport World. Archived 31 May 2015 at the Wayback Machine. Hashim, Firdaus (19 May 2015). "Vietnam Airlines, Jetstar Pacific in extensive codesharing". Singapore: Flightglobal. Archived 21 May 2015 at the Wayback Machine. Wikimedia Commons has media related to Vietnam Airlines. "Vietnam Airlines pre-IPO outlook: rapid growth as 787s & A350s arrive, but competition intensifies". Centre for Aviation. 1 April 2014. Archived from the original on 1 April 2014.